There’s no denying Del. 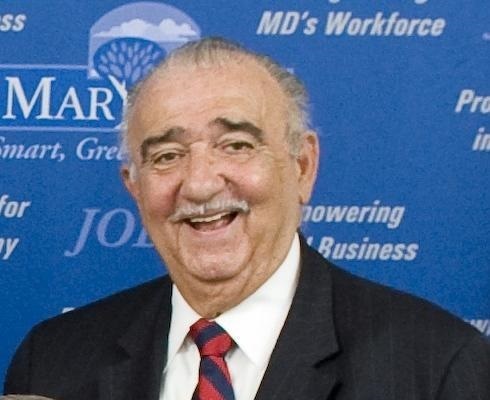 Joseph F. Vallario, Jr. of Prince George’s County is a stingy gatekeeper when it comes to loosening Maryland’s civil and criminal laws. But is the gruff chairman of the House Judiciary Committee in Annapolis really the scourge of the legislature, the anti-Christ intent on malevolently doing in all liberal causes? A recent op-ed in The Baltimore Sun by Sidney Rocke, an attorney with the Federal Energy Regulatory Commission, accuses the conservative Vallario of being a one-man, “dictatorial” wrecking crew — especially on bills Rocke favors. It’s true Vallario is inordinately protective of criminal defense attorneys. He’s one himself and he takes a hard line on bills that might narrow their legal practices — and their income — or make it more difficult for defense attorneys to win their cases. “Let ’em go Joe” is what Rocke says staffers call Vallario. But to blame the defeat of liberalizing legislation solely on Vallario is a misreading of the inner workings of the Maryland General Assembly. Vallario has performed a useful role for legislative leaders over the past 21 years. He disposes of bills that are too sweeping, too revolutionary, too inflammatory, too impractical, too poorly thought out, too poorly drafted or ahead of their time. Yet he does so with a majority vote from others on his Judiciary Committee. The panel is intentionally configured to act as the General Assembly’s execution squad. Every legislature needs such a panel, where the presiding officer sends well-meaning but unrealistic crime and punishment bills for burial. Sometimes important bills get the same treatment. Then the House speaker or the governor steps in to urge Vallario and other committee members to yield on bills such as marijuana decriminalization or handgun control. The pressure usually works. It’s an old story in Annapolis, something Rocke neglected to include in his angry op-ed. Killer committees have been around a long time. Remember Joe Owens, the highly conservative Judiciary Committee chairman from liberal Montgomery County? Owens helped defeat or delay all sorts of liberal reforms on gun control, drunk driving, child support and victim rights. One year, 61 percent of the bills sent to his committee bit the dust. Joe Owens was a colorful and controversial figure: direct, open and honest. Over in the Senate, irascible Walter Baker of Cecil County served the same role for 17 years chairing the Judicial Proceedings Committee. Crusty, curmudgeonly and a determined conservative thinker, Baker had a drawer filled with idealistic reform bills he side-tracked. “The only good bill is a dead bill,” he used to quip to the entertainment of his colleagues. Still, Baker conducted fair and deliberate hearings. He yielded when pressed to do so by the Senate president or governor while always defending his belief in limited government. Often over the past 50 years conservatives chairing Maryland’s judicial panels have served as counterweights. Vallario’s proclivity for killing bills balanced the liberal attitude of Sen. Brian Frosh’s Judicial Proceedings Committee. Owens’ “killer committee” balanced the liberal mindset of Sen. Joe Curran, who chaired Judicial Proceedings for 16 years. Earlier in Curran’s tenure running Judicial Proceedings he was paired against another conservative legal thinker chairing the House Judiciary Committee, Thomas Hunter Lowe of Talbot County — who later kept a firm hand on that panel as speaker of the House. To blame the demise of reform legislation on Joe Vallario is to miss the bigger picture. Legislating in the State House is a delicate balancing act. Senators and delegates come together in Annapolis with 188 points of view. They represent different parts of the state whose citizens hold diverse perspectives on the same issue. No wonder so many bills fail to win majority approval. Passing legislation is an art. Getting a green light from the Judiciary Committee takes lots of patience, negotiation, coalition-building and tactical smarts. It won’t happen just because a bill is well-intentioned. Vallario faces a difficult challenge running for reelection this year in a new, unfamiliar northern Prince George’s County district. He may not return. Frosh definitely won’t be back: He’s running for attorney general. We could end up with two new chairmen of these important committees. One of them might become the next stingy gatekeeper. The House Judiciary Committee heard several bills dealing with gun permits this week.